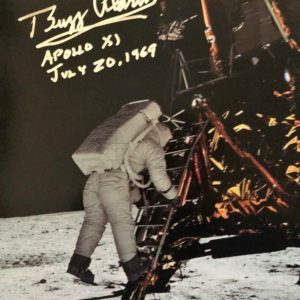 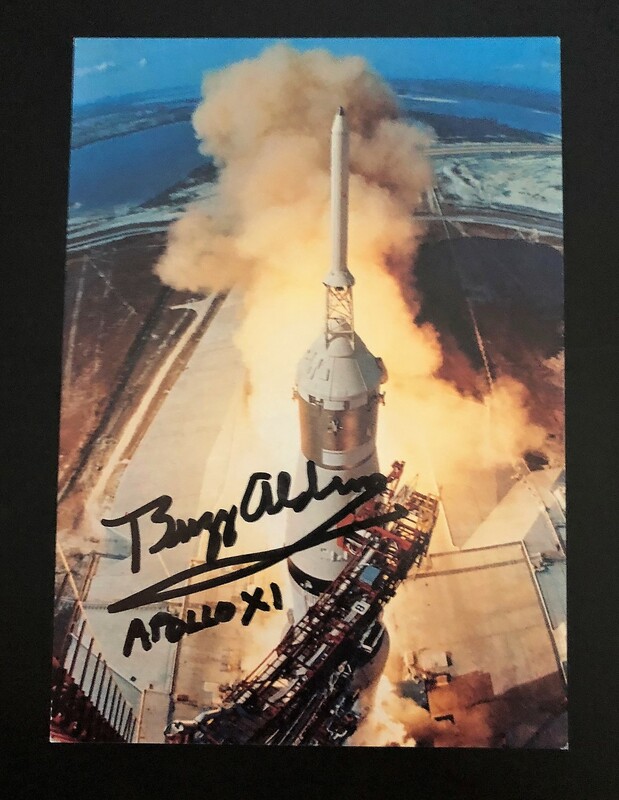 This is a vintage, 4″ x 6″ print of Apollo 11 lifting off from Kennedy Space Center is autographed by Buzz Aldrin. 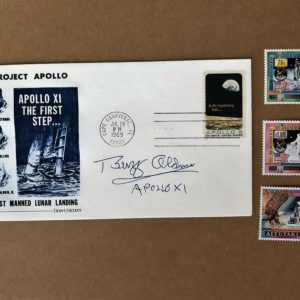 The smaller size lends itself to be framed with an additional Apollo 11 item, such as a mission patch, first day cover, or other. 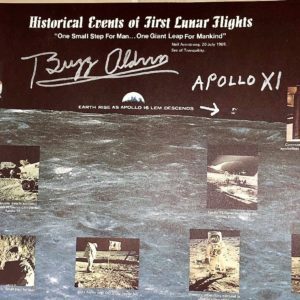 The print is accompanied by a certificate of authenticity.